Travel does not need to be stressful! Making a packing list is vital. Here at Powerful Journeys, we start from the top of our head and make our way to our feet as a visual reminder of everything we need; from the right shoes to sunglasses and hat. Tip 1: Roll, don't fold. This saves on space and keeps your things from getting wrinkled. Tip 2: Fill the spaces by stuffing your socks in your shoes, and sunglasses and other small items like gloves and arm warmers in your helmet. Tip 3: Use packing aids such as packing cubes, this helps keep things organized and easy to find, and saves on space. 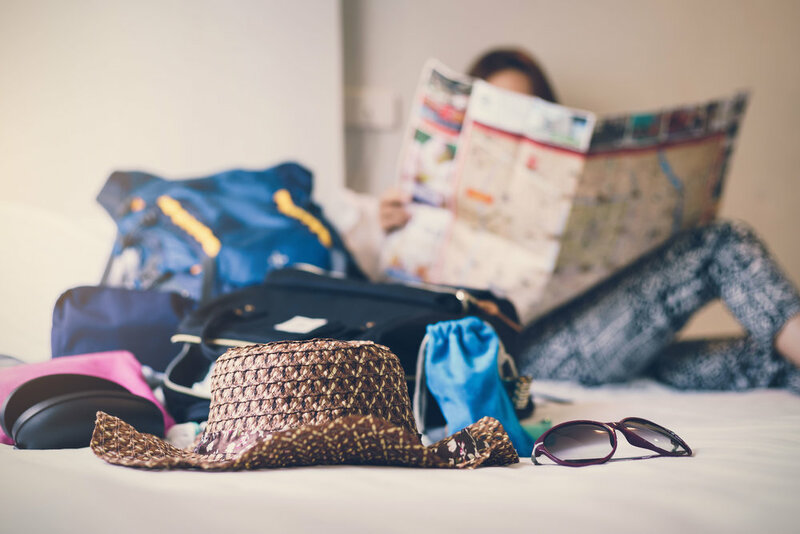 Tip 4: If your checking your bag make sure to pack a small toiletry bag along with other essentials in your personal Item bag, we put together a little list for you below. Small Toiletry Bag with the following - toothbrush, toothpaste, floss, hand cream, face cream, hand sanitizer, wet wipes (to clean surfaces) your prescriptions, deodorant.